Dragon’s Den winner and Entrepreneur of the year, Kirsty Henshaw, was determined to shake up the ‘free from’ sector, which was frequently characterised by the dull and worthy, and promised more penance than panache. 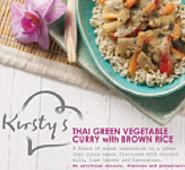 We were invited to bring to life the flavour and personality of Kirsty and her vision: ‘feel fabulous’, nutritious everyday food, packed full of energy, goodness and taste. 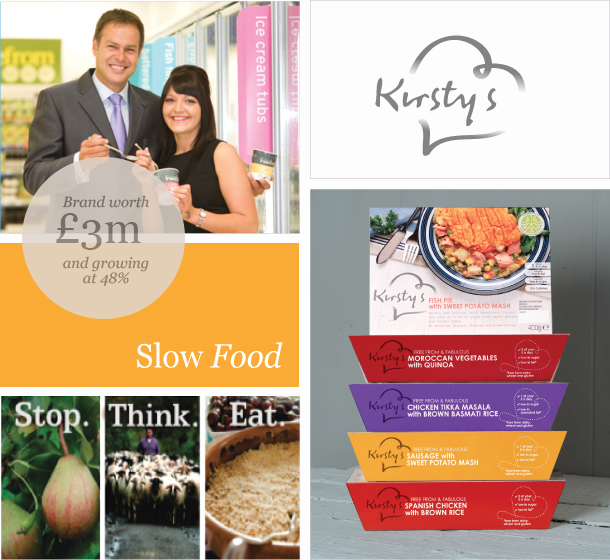 We developed the ‘love food, love Kirsty’s’ logo and a brand strategy and design that talks clearly and positively about healthy food in a way that appeals to the whole family, and is a million miles away from the free from ghetto.